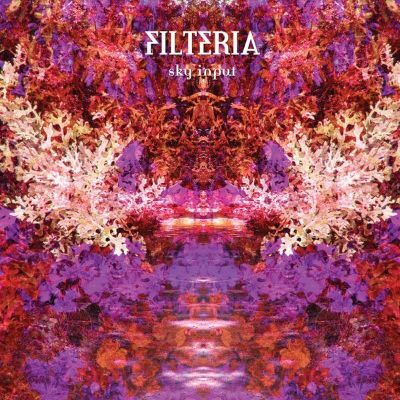 The Suntrippers proudly present the release of Filteria’s first album. Forget about stereotyped formatted boring Psytrance, forget about the repetitiveness, Filteria has the truly melodic blasting sound we’ve been waiting for years ! Jannis “Filteria” is a young producer from Stockholm, Sweden. His first contact with psychedelic music was in 1996 after buying some Goatrance compilation. He got amazed by the energy of the music and slowly started buying equipment to make something of his own. After 5 years of tweaking and playing around with midi, he bought himself a new computer and started this psychedelic project in 2003. As an artist he tries to keep the true spirit of psychedelic trance by having lots of melodies and sound-layers. All his tracks have at least 3 melodic climaxes. He has been strongly influenced by the sound of 96-97 especially by the Italian maestros Etnica-Pleiadians but he found his "Filteria style" and keeps it up to date. Spacey morning track with a real long sunshine intro. Not too much power...Just what's needed for a live jumpstart. Well, after 3 minutes you get a one way ticket to the Stars ! Massive eastern melodies. Almost 10 minutes of madness and psychedelia. Four versions exist, two live ones, this one is something between the original made in January 2004 and the live remix for some act in May the same year. Very intense chemical-free trip with never-heard-before Jupiter6 distortions and lots of overdrive-self-ignition tweaked melodic parts. You are warned ! Maaaaaaad !!! Over 8 main galactic melodies...Surviving to this one on a dance floor is some kind of challenge ! Took three days to make, six to mix it. Inspired by the sunset & sunrise of the Greek island Santorini. First tested on the Belgian dance floor, it gave lots of screaming and happy faces. Atmospheric, beautiful, and insane melodies at the same time. Divide parcels weight by 3 and save on shipping costs!